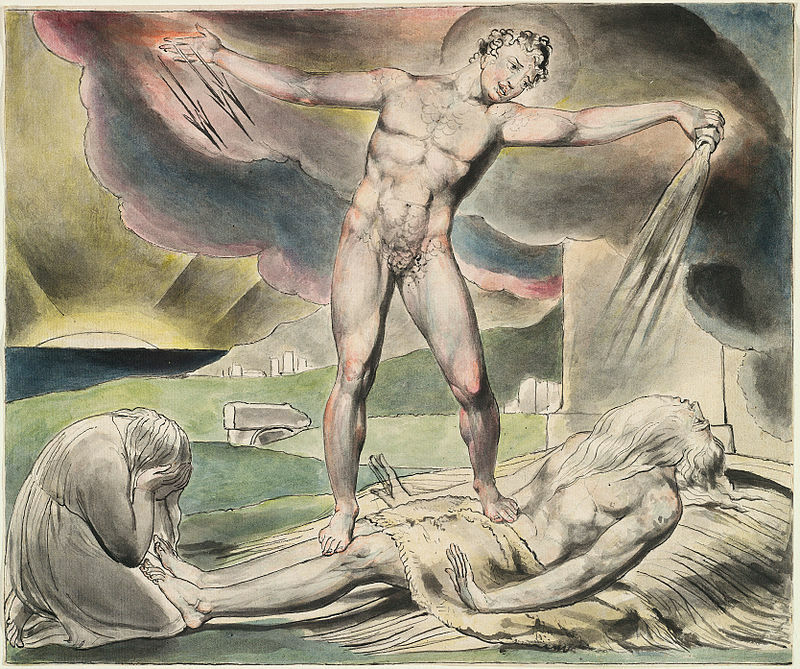 Within the Hebrew Bible the problem of theodicy is of course confronted in the Book of Job. Its happy ending (Job’s restored good fortune) is probably a later redaction, intended to assuage the outrage at Job’s innocent suffering. If one brackets the ending, the message is one of submission to God’s will, whatever it may be. The most radical version of this theodicy (if one can call it that) in the history of Christianity is that of Calvinism. God, in his inscrutable will, has ordained from eternity who will be the elect destined for heaven, and who the damned going to hell–and nothing an individual can do or fail to do can change the divine edict. There is a certain (if perverse) grandeur in such faith. For Larrimore the medieval and early modern periods mark the rise of the Book of Job as disputation, with Maimonides, Thomas Aquinas, and Calvin as his chosen representatives. These writers see the book through the prism of the question of evil. Maimonides is the first of them to ascribe specific philosophical views to Job and to the other speakers in the dialogue. For the sake of argumentative consistency and focus, Maimonides dismisses many powerful emotional passages as philosophically irrelevant digressions. Other theologians, in the service of Job’s pious image, play down his pungent sayings. Calvin, for whom Job is a vehicle for communicating the transcendence and inscrutability of God, cites some of Eliphaz’s utterances as if they were Job’s, assuming, as did other Jewish and Christian writers, that all Scripture delivers the same message, irrespective of the speaker. With the modern problem of theodicy, the readings of Job that attract Larrimore’s attention are increasingly embedded in larger philosophical, literary, or academic projects. Perhaps the most thought-provoking element in this book is Larrimore’s emphasis on the importance of Kant, more than Leibniz, as the hinge around which the history of theodicy revolves.